On the Bank Holiday weekend, we sallied forth to Mr Toast’s homeland of North Yorkshire. Whilst in the region, we decided to visit Dalby. Well, it would be rude not to. I should point out that Dalby and I don’t have a very happy history. We went there last year, and I hired a bike from Purple Mountain. The bike, a Kona Fire Mountain (I think), was pretty poorly maintained with a fork that just would not move, and the blue trail was fairly dull – pretty similar to the green trails around Cannock Chase, except for the tricky zig zagging ascent at the start. Well, I was determined that I’d approach it with an open mind. Being realistic, I knew that there was no way I could do the full red, which clocks in at about 24 miles. Mr Toast however, was itching to give it a go and put his Commencal Meta 5.5 (henceforth known as ‘The Grasshopper’) through its paces. The cunning plan was that I’d do the most of the blue route, and a small part of the red route at the end. So, as we reached the top of the zig zagging hill, we went our separate ways – Mr Toast down the scary steps of the red, and me up the gentle uphill of the blue. The first niggle that I had was that as I came to a junction, there were no signs as to which way the blue route went. There was a downhill fire road to the left, and two uphill paths – a fire road and something a little rockier – to the right. I took the rockier one, thinking it would be more interesting. It wasn’t really, it wasn’t particularly interesting – just a long, steep uphill, leading to more fire road. meh. 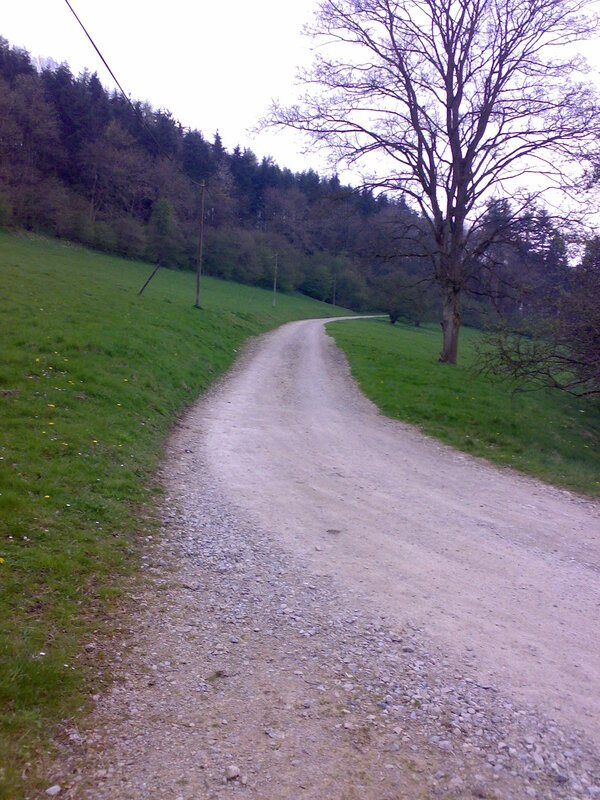 The long, straight uphill sections were a pain in the arse (well, the knees), and so dull. But there were some very bizarre sections, where I’d find a blue arrow pointing down a very steep hill – far steeper than anything I’ve tried at Cannock Chase, even on Follow the Dog. Fortunately, they were fairly suitable for noobs – there were no roots or rocks to contend with, it was just a matter of getting the weight back and steering! and then there was a t-junction with no signs at all. On the plus side, doing the 20 minutes uphill journey in reverse in less than 5 minutes was fun! I should probably learn to read a map, or something. I never actually went on the red, as I was worried about getting lost, and also about the capability of the bike I had hired, again from Purple Mountain. It was an upgrade from last year (this one was a Kona Blast Deluxe), but the fork was still very, very stiff. The perils of riding a standard ‘man’s’ bike with a cheap not-really-very-adjustable fork, I suppose. It’s a shame, because otherwise the bike was a good fit. I did ask about hiring a full suspension (a Kona King Kikapu), but alas, the smallest they did was a 16″, which was a bit too long for me. 🙁 I think it was a good job I didn’t attempt the Dalby red though, as Mr Toast said that parts of it were very tough – even on the Grasshopper! Given that I still pootle around Follow the Dog at a rather sedate pace, I should probably get my skills (and fitness) up before I try Dalby. Bad bits: Dreary, dreary fire roads, and a general lack of signage for the Blue route. Oh, and the café running out of milk. Good dogs seen: Some charmingly elegant spaniels, and a trio of Cairne terriers (each one a different colour). 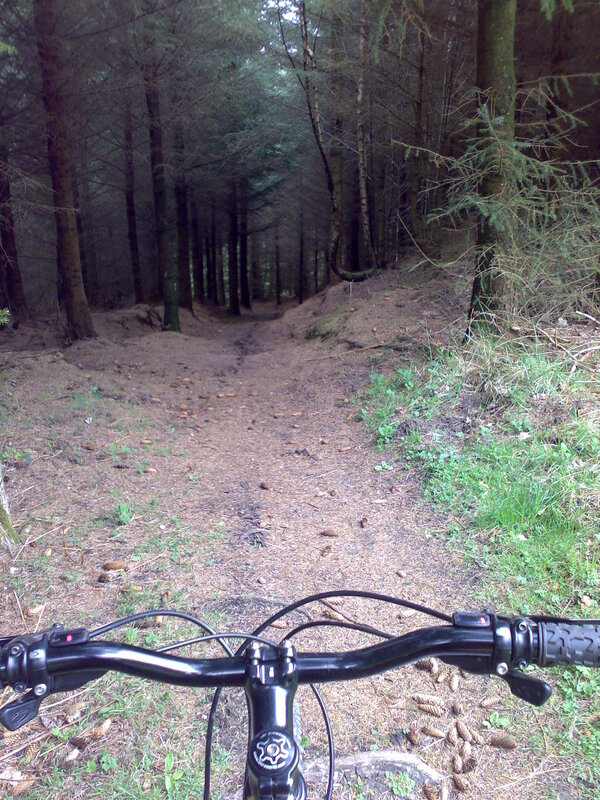 This entry was posted in Mountain Biking by Missus Toast. Bookmark the permalink. 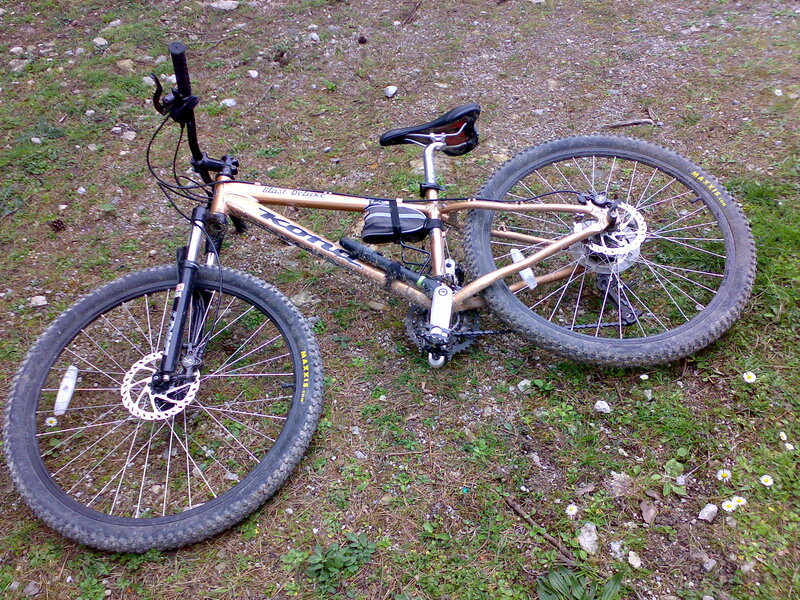 Really a comment about the 2008 Kona Blast Deluxe. You are right about the fork, The Dart 2 is a stiff and sluggish fork. But the bike is a rugged little thing. You can pick the 2008 version up now really cheap. Allowing you to spend alot of money on a new fork and rims set.